My mother gave me a copy of Daphne du Maurier’s novel, Rebecca when I was about twelve. I devoured it and adored it. From that moment on Daphne du Maurier became my favourite author, and Rebecca my favourite book. When I asked her for some more, she sent me up to my grandparent’s house, which was a few minutes up the lane. My granny sent me away with a plastic bag full of old du Maurier paperbacks. I devoured these too. 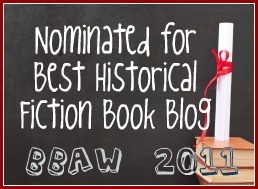 I remember I particularly liked The King’s General, one of her historical novels, based on the history of Menabilly and set in the civil war. Du Maurier bought the Civil War alive for me, and I loved it. The King’s General is still one of my favourites. I love the way that du Maurier manages to bring history to life. I thought that was all there was to it. This was just before Virago began to republish du Maurier’s back catalogue, and before I was really aware of things like Amazon. By a strange coincidence, we had been going to Fowey for short Easter holiday breaks for a few years, before I ever read a du Maurier novel. 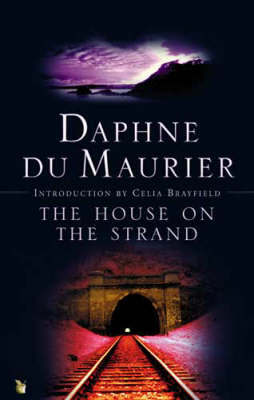 We began to go back again, for longer periods of time, and I was able to revel in the du Maurier connection. It’s a magical place, full of history and atmosphere, and it is easy to see why du Maurier chose to live there and write about the town, and Cornwall itself. In sixth form my obsession and fascination developed again. I reread Rebecca and remembered why it was such a fantastic book. I found books I hadn’t read, by and about du Maurier, and devoured them too. I discovered that du Maurier was a complex and intriguing woman, with so many depths to her character that are not initially apparent. I decided there and then that one day I would write something on her, and began by the end of sixth form to come up with ideas for my dissertation I knew I would one day have to do. I have just handed in my dissertation, which I wrote about du Maurier and the aspects of freedom that appear throughout her work. I particularly related this to the male characters, because while it is apparent that women are often trapped in du Maurier’s novels, men are too, and find it harder to escape. I also discovered that the use of the past gave du Maurier a freedom that she craved. Through the past she could escape to another time and place, and she could bury herself in the history and records. For her historical based novels du Maurier put much effort into her research. For The House on the Strand, another of my favourites and one that I wrote about for my dissertation, she researched the history of the house, Kilmarth, and knew the landscape that she was writing about intimately. This helps to make these novels seem so realistic and magical. I found it interesting that most of her Cornish novels are historical, as she chooses to evoke a Cornwall that is romantic, in some respects, but also dangerous and wild. I love this mix of elements apparent in her work. She also liked to write about her family history and ancestors, and the research involved makes these stories full of detail, and realistic. I love the way du Maurier writes. Her prose is beautiful and enchanting. I love the way that she evokes such a strong sense of atmosphere, and how this makes them so magical. I love how she uses the Cornish landscape in many of her novels. I love the way that she creates such diverse and interesting characters, and the way that her voice leaps off the page, drawing me in. It is all of this that keeps me coming back to her novels, year after year. I love how she takes something and adds a hint of darkness, something deeper. Nothing is ever how it seems, and I still love this. I love the darkness, the uncertainty, the unknown and the feeling of unrest that is often apparent. I think as a teenager I liked the way that she went below the surface and created a darker world. I still like this, and the way that she does not take anything for granted, and explores the deeper and darker aspects of characters. She is not afraid to do this. I love how her novels are all wildly different, and she experimented with different genres and ideas. Du Maurier’s life and writing has been a huge part of my life, and her writing continues to inspire my own writing. Every time I go into a bookshop I automatically check under M – but there is never a new book. Last year Virago released a collection of rediscovered short stories, which was very exciting and the closest to something new we’re ever going to get! As I’ve come to reread du Maurier over the years it has become clear that her work remains just as magical to me, but that I see things in it that I may not have done when I was thirteen, fifteen or seventeen. I hope that it will continue to be that way for a long, long time. I discovered her later in life, but she's the best. I never thought du Maurier was for me because I had the Rebecca with the atrocious red cover that made it look like a romance. Then I saw all these people saying it was so great and I actually got a copy from the library. It had a cover like the ones above and it just made it more readable... I am still new to reading her, but I have enjoyed her so far! I've never read a Daphne du Maurier novel but your blog has so enticed me I'd like to read Rebecca, which you obviously loved! Darlene, I hope that you give du Maurier a chance! Thanks so much for your guest post Sophs. We really appreciate it. Thank you for such a lovely post Sophie, after reading it all I want to do is grab Rebecca and spend the day with it! Great post. I also do as you do and always check under M at the book store, antique stores, etc. 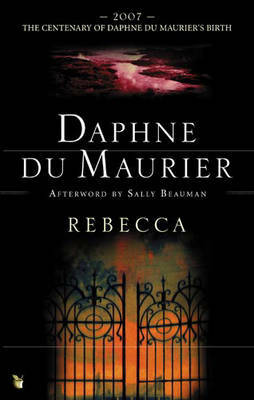 When I first read du Maurier as a teenager in the 1990's, the only novel I could find in the bookstore was Rebecca. I started collecting her other novels at used book stores, rummage sales, etc. at that point.